This has been a fun week utilizing the weekly photo challenge – morning – as a personal daily challenge for me. I saved the best for last. Thanks to my mom and dearly-departed dad, my morning now must begin with their ritual………coffee, chocolate and half a muffin. 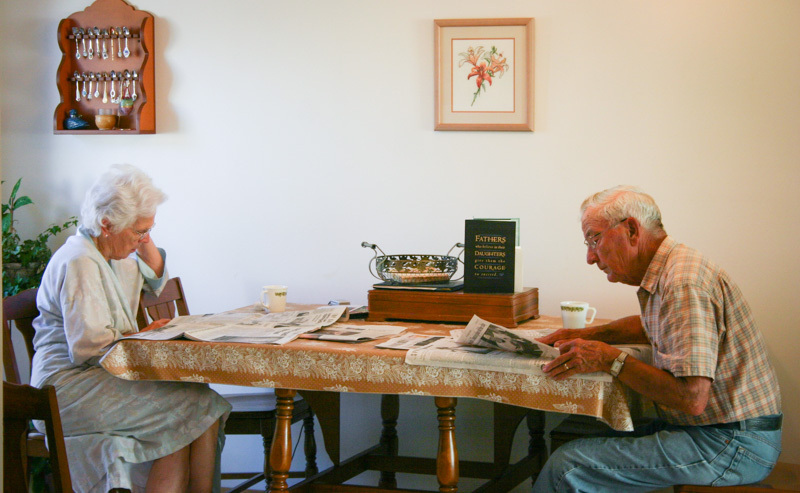 You see, they would start their day in the kitchen reading their respective favourite sections of the newspaper over coffee (a most revered beverage in our family), a piece of dark (and it has to be at least 70% dark) chocolate, and one homemade muffin split in half to share between them. Although dad now delights in his heavenly coffee, chocolate and muffins….mom faithfully continues the tradition every morning and I’m sure that in so doing, she feels a little closer to him. It makes me feel closer to both of them!